Seven artist from three different countries have come together in Arti et Amicitiae to celebrate the full glory of painting and produce the best environment for each other's work. 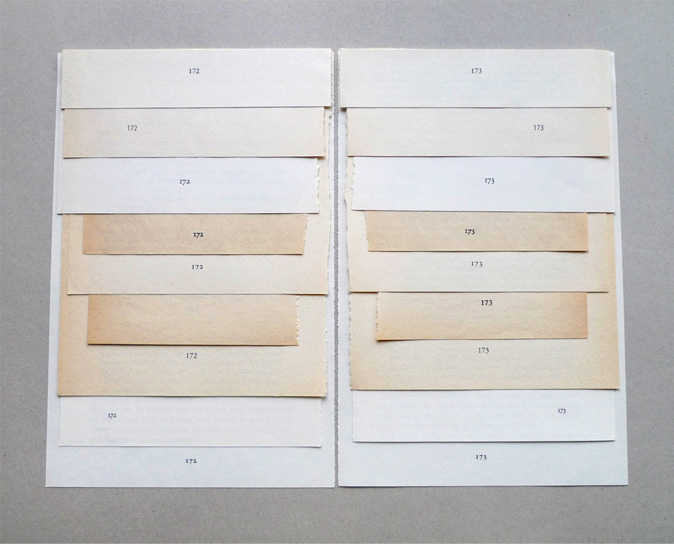 With this exciting exhibition comes an artist book that functions as a projectspace. I was very happy to design the cover for this book. The artist: Stephan Jäschke, Laurent Proux, Tillmann Terbuyken, Marjolijn de Wit, Thijs Rhijnsburger, Arthur Stokvis and Bonno van Doorn. Exhibition from April 9 - May 14. Booklaunch on 22 of April. Gupta Strategist, an agency working in the medical field, comissioned four photographer from four different countries to photograph the personal journeys of patients, to show the other side of the numbers. Photo's by: Justyna Mielnikiewicz (Georgia), Marizilda Cruppe (Brazil), Lourdes Segade (Spain) and Newsha Tavakolian (Iran). 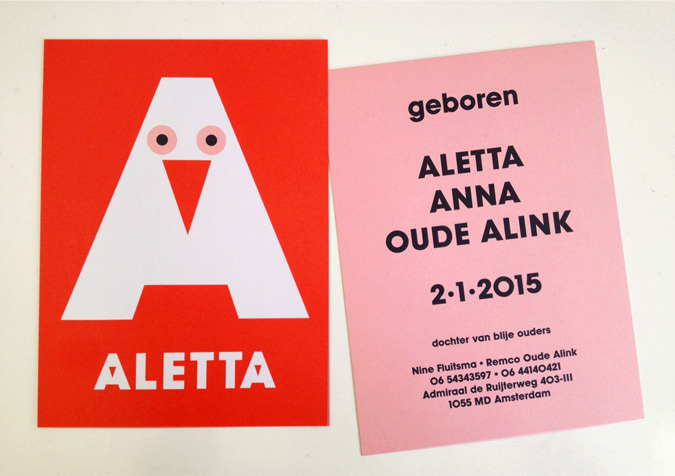 Together with artists Arthur Wolf Stokvis, Annekatrien de Maar and Tom van Teijlingen I'm showing uncommissioned work. In the exhibition are five of my projects that all approach paper in a conceptual way. The opening is on June 20. My year starts with a bang. Our sweet daughter is born on the second day. We announced her birth with a mat heavy weight card, almost A5 size - a bit more square. Printed in two pantone colors, a cool grey and a very happy red. A documentation I designed together with Thonik about four exhibitions that took place in a huge empty wharf. In 2010 Atelier van Lieshout was on show, in 2011 Elmgreen & Dragset transformed the place in a theatrical set, Sarkis made a 'Gesamtkunstwerk' in 2012 and in 2013 Klaas Koosterboer, Chris Martin and Jim Shaw showed and made big paintings in the wharf. I started the website for myself but please check it out, because I feel pretty happy about making this work. You can find sketches, small ideas and finished stuff. It's a bit of a process. For the exhibition Framing Sculpture at Boijmans Van Beuningen Lotte Meijer created Studio Brancusi, Studio Rosso and Studio Man Ray. In these three multimedia spaces visitors can feel a bit like the artists. You can interact with the (reproductions of) sculptures, make photographs, cut and color like Rosso by using the app. Or you can make rayographs on photo-luminescent sheets using different objects to create your own compositions (You can see me make one in the photo top right :)). I designed all the educational panels for the Studios and the app for Studio Rosso. You can visit the exhibition and the multimedia spaces untill the 25th of May. 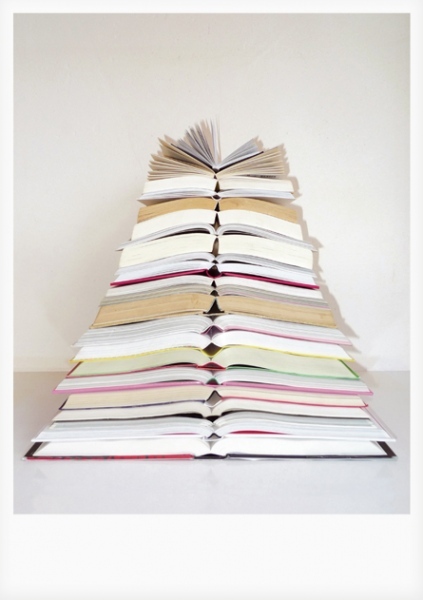 I made myself another christmas tree out of books. You can see the last one some posts ago, just scroll down. If I didn't send this A5 postcard to you and you would like to receive one, send me a mail. 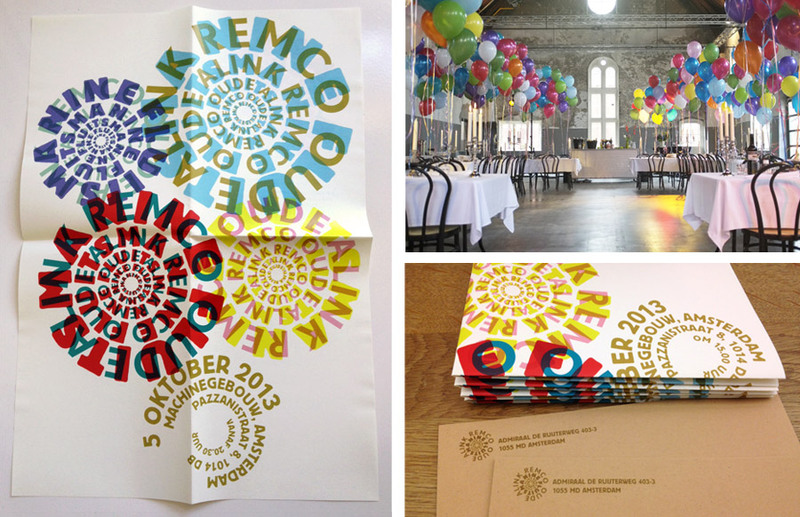 Remco and I got married in a beautiful industrial building on the Westergasterrein. Because it was completely empty we had the chance to make the place and the day totally our own, with a lot of help from our friends. And the day was amazing! When two designers get married there's gonna be some styling and designing involved. Above you see the wedding invitation we made together. 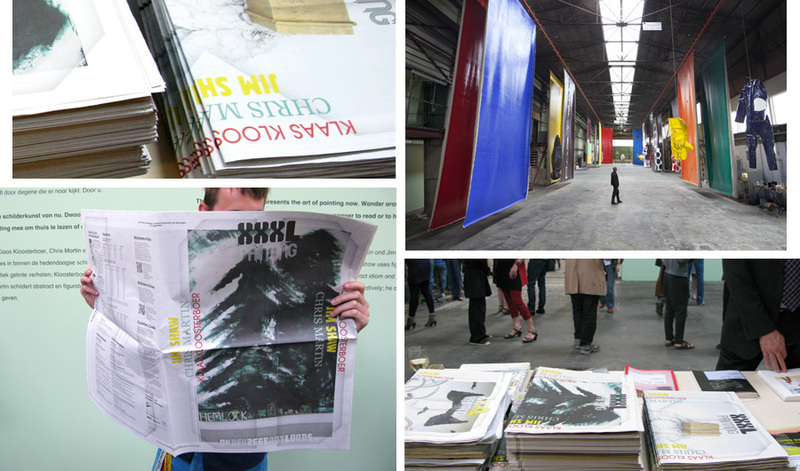 I made the design for a catalogue / newspaper of the wonderful exhibition in the Onderzeebootloods (Submarine Wharf) called XXXL Painting. Exhibiting artist are the dutch Klaas Kloosterboer and the americans Jim Shaw and Chris Martin. This annual exhibition of contemporary art in the Wharf is organized by Museum Boijmans Van Beuningen in collaboration with Port of Rotterdam. The design is in collaboration with Thonik. 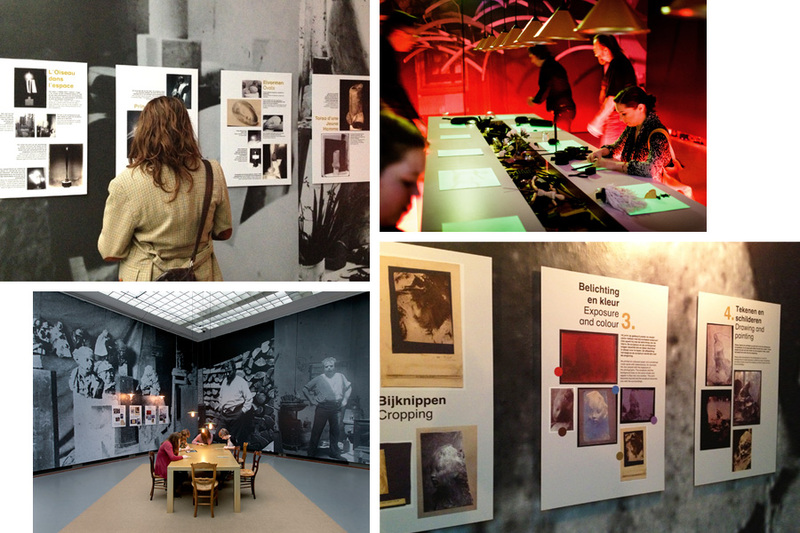 This coming spring Museum Boijmans Van Beuningen is taking crafts as its principal thema. An exhibition with more than 500 objects presents the most exceptional examples of artistic crafts. There is also a complementary programme of films and documentaries, markets and a whole variety of workshops. Together with Thonik I designed a newspaper about Hand Made, centred around 7 popular cliches that exist about the concept of crafts. It was issued with the Dutch national newspaper NRC Handelsblad, March 7 and is also available now at the museum. 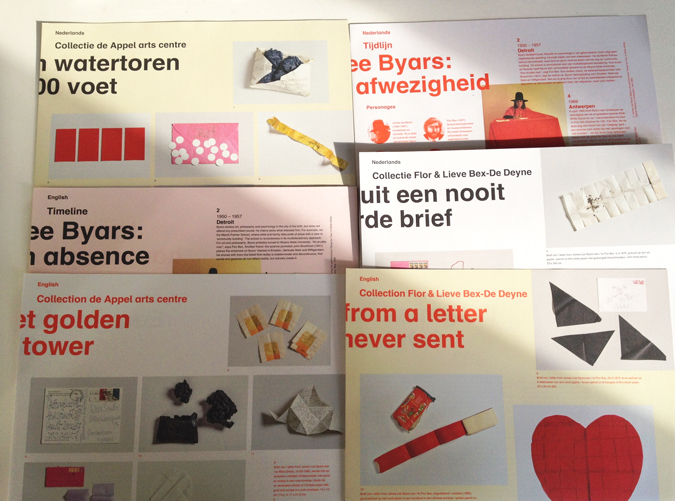 Together with Andrea Ronhaar I just finished a couple of posters for the Open Days of Codarts. It's a school of arts for dance, music and circus-arts. We also made the poster for the Havo/VWO (highschool) for dance and arts. Inspired by the two logos we made a special letterfont for both schools. 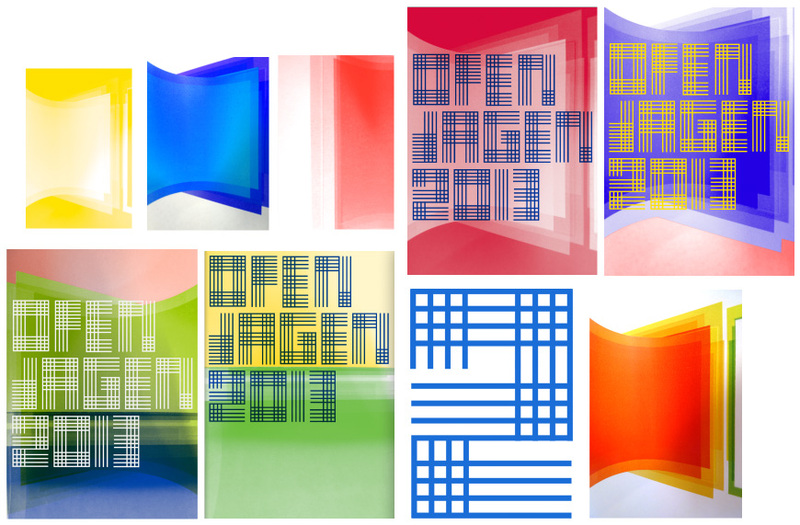 Above some sketches for Codarts - with a stripy horizontal and vertical type. The highschool type is also stripy, but diagonal. Soon I will show the end results fresh from the printer. The project Papercuts I did together with Floortje Bouwkamp (by the name Floortje/Fluitsma) is featured in a recently released book by Gestalten. High Touch, about tactile design and visual explorations shows a lot of handwork made with different materials. You never know what kind of book your work is going to be in, but I really enjoyed this one. It's full of amazing work I wish I had made myself! Order or browse the book here. This years Manifesta takes place until September 30, 2012 at the impressive site of the former Waterschei mine in Genk, Limburg, Belgium. I can very much recommend going there. Besides the selection of contemporary and historical art the site itself is worth a visit. I designed the general guide for the exhibition and made a several page supplement for the Dutch national newspaper NRC Handelsblad, June 14. The great identity of Manifesta 9 is made by Thonik. 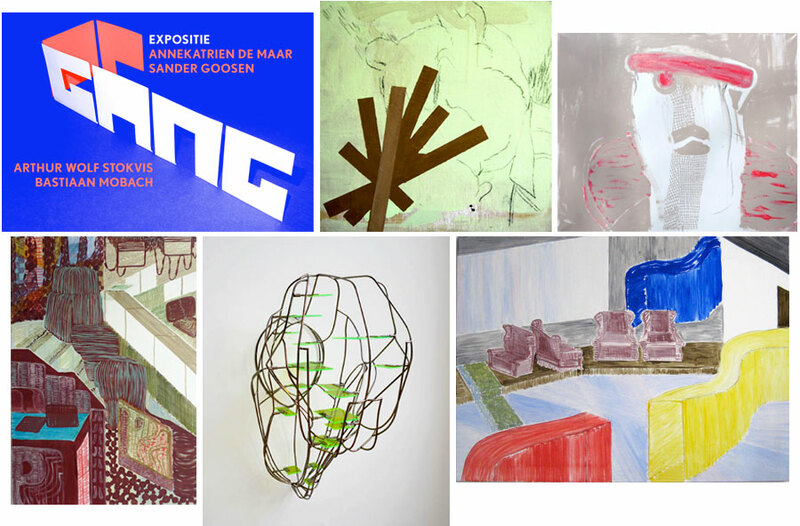 This Saturday the art exhibition Op Gang is opening in the building Kostgewonnen. There are paintings and collages by Annekatrien de Maar, sculptures by Sander Goosen, paintings by Arthur Wolf Stokvis and Bastiaan Mobach is showing an installation that's part of a larger film project. I think it's worthwhile to come and see it. Here you can find more about the location and the opening dates. What kind of a christmas tree would a graphic designer have in his studio? 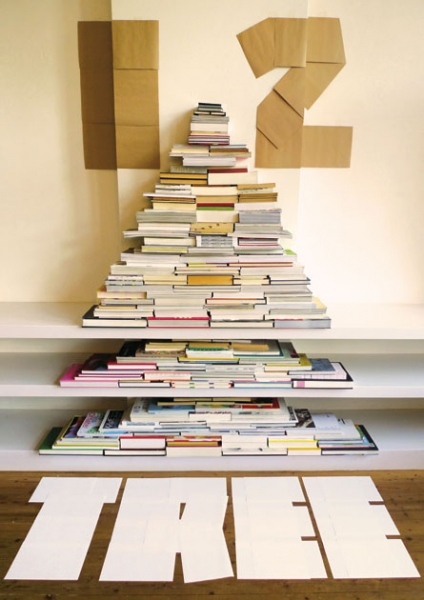 Well, I don't known about the rest, but I built one out of my books. Paper reclaimed! If I didn't send this A2 poster to you and you would like to receive one, send me a mail. The trip was amazing. I have to show some pictures. Number 1: big landscapes. Number 2: our roadtripteam, consisting of Simon (the lovely young frenchman), Zigmunds (our sketchy latvian guy) and Remco (my rocky mountain) and me. Number 3: speed up, rove around, slow down, drive on (also the names of Simon's playlists:). By the way, being four designers on the road we were very happy to get the reasonably cool graphic campervan at the rentalplace, and not the airbrushed one with planets and mountains. From the 11th of november till december 5 I will be in the States. I'm going to visit my studio neighbour Lotte Meijer, who is currently working at the Exploratorium in San Francisco. And we're going to make a roadtrip through California and Nevada. Very much looking forward to it! 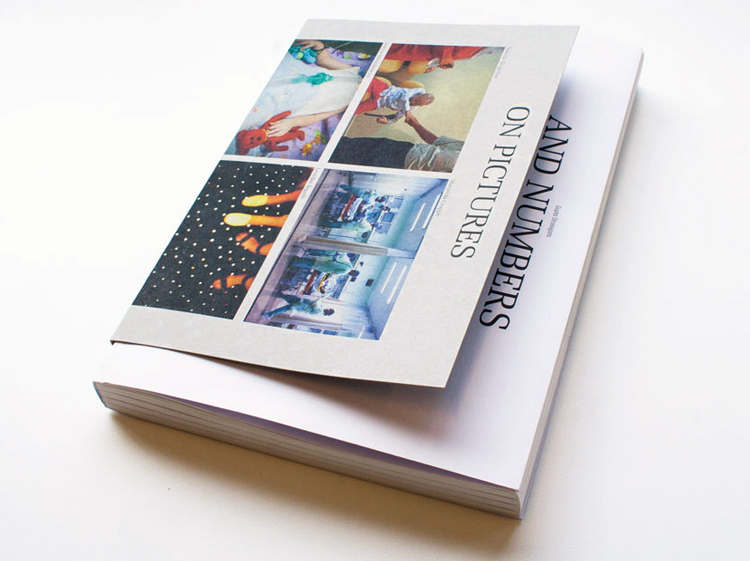 The book 'Op de huid' presents a survey of the carefully gathered art collection of the Sint Lucas Andreas Hospital in Amsterdam. It was a great project to work on. I did a lot of the photos in the book myself, next to the talented photographer Thijs de Lange. 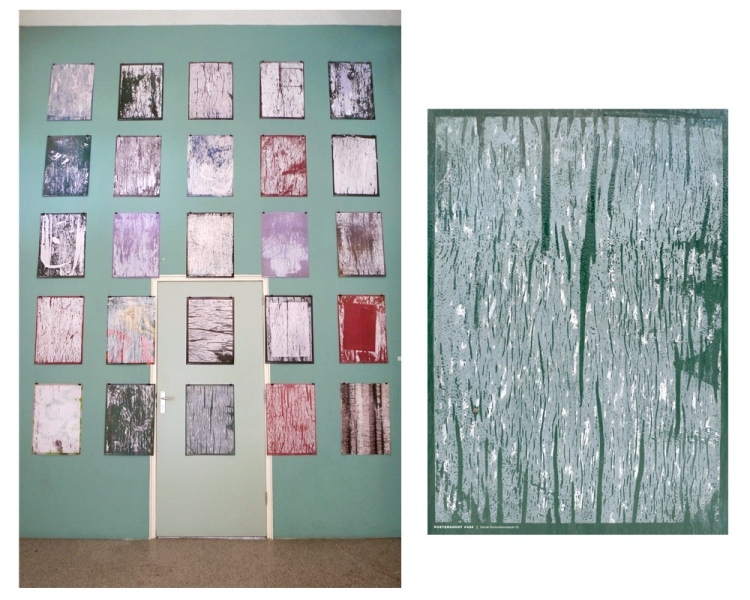 The texts about the artworks are written by the very original Basje Boer. I'm proud of the outcome, and last week it felt like a real celebration when the book was presented.